What Are These OhmConnect “Power-up Cards” I Keep Hearing About? If you’ve been keeping an eye on the inner workings of your OhmConnect dashboard (which I’m SURE you are, right? ), you may have noticed something called a “Power Up Card”, but maybe you’re not totally sure what that is. It starts with knowing, what are tokens? We'll give you 50 tokens just for joining OhmConnect! 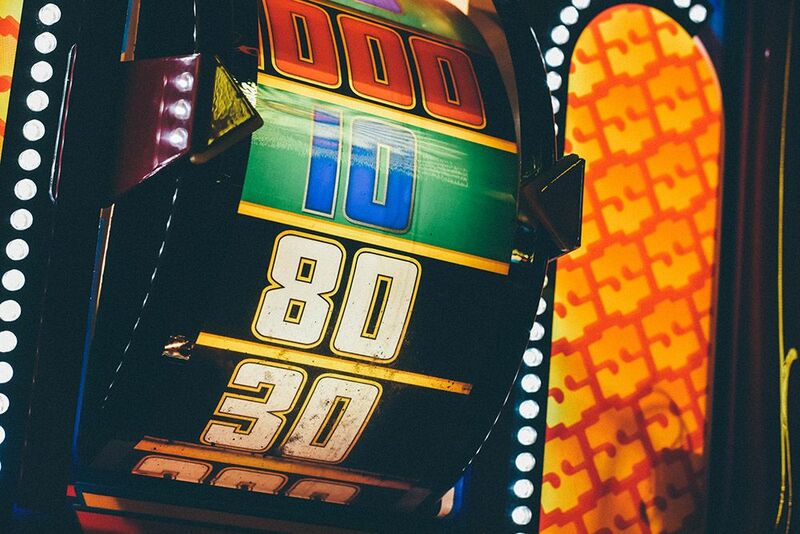 You'll get 20 tokens every time you share how you’re saving energy during an #OhmHour. When you receive an #OhmHour, click through on the link in your email or text message. Then tell how you’re saving energy. When you refer a friend who reaches Bronze, you get 40 tokens. You’ll earn tokens doing other stuff on the site — but we’re not going to tell you every single case. Easter egg! You can use the tokens you earn within OhmConnect to purchase ‘power-up cards’ from our Token Marketplace. Each ‘power-up card’ will cost a set amount of tokens, and give you bonuses and benefits that help your #OhmHour performance. Some cards increase your points payouts for #OhmHours, others save your streak if you go over your baseline, and others double your referral payouts for a set number of days. 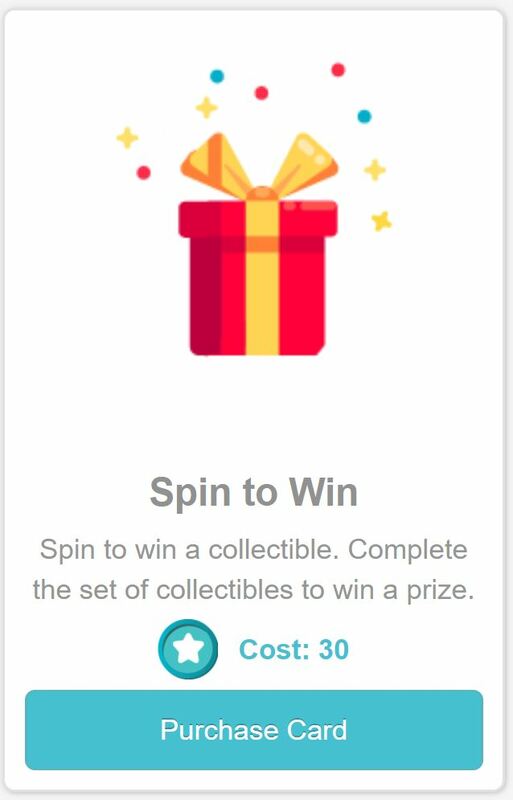 You can purchase a spin for 30 tokens to try to win prizes — like discount codes to the OhmConnect store, sunglasses, smart devices, or even an electric car! Think of it like playing Bingo. You need to collect three badges to claim each prize, and each time you spin you'll win another badge at random. For example, to win the pair of the sunglasses, you need to win all three badges in the set: Stunner Shades, Old School Sunglasses, Aviator Sunnies. Once you collect all three badges you'll be able to redeem your prize. All spin results are random. 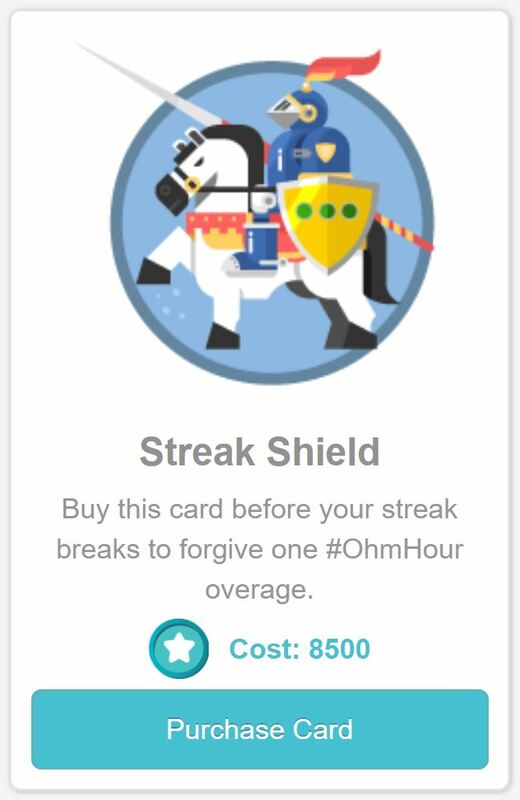 Purchasing a Streak Shield card is your insurance from losing your streak the next time you go over your forecast during an #OhmHour. Once purchased, the Streak Shield waits for you to go over on an #OhmHour. Once you do, the card springs into action: automatically preserving your streak and keeping your streak bonus intact! 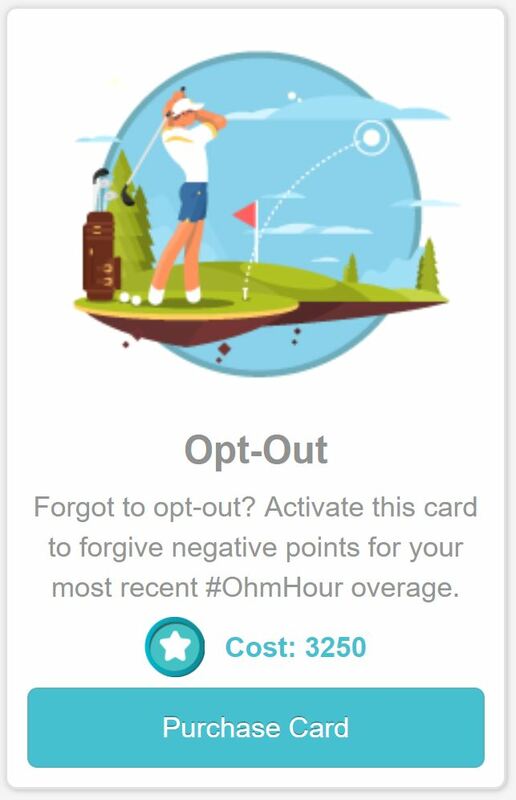 If you forget to opt-out of an #OhmHour, or if you're just unhappy with your results for that particular event, you can purchase the opt-out card. Once you have the card, it will find your most recent #OhmHour where you got negative points, and set the points for that #OhmHour to zero. Your negative points will then be returned to your points total. 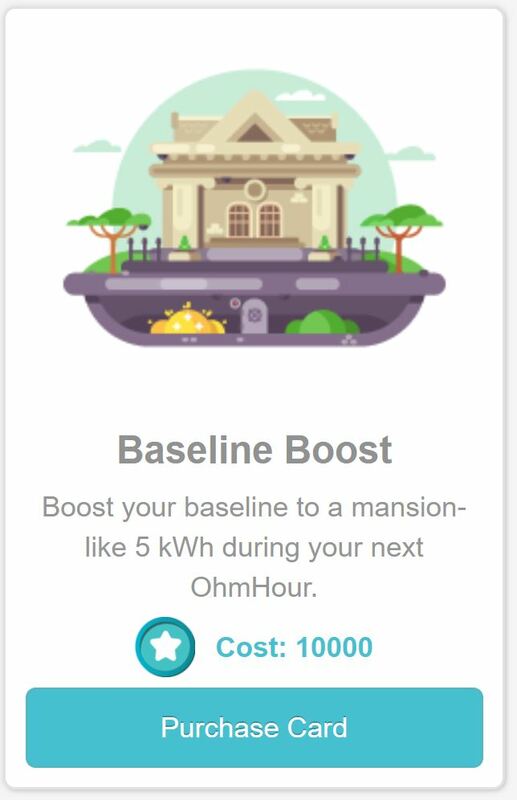 When you purchase the Baseline Boost card, we'll increase your baseline forecast for your next #OhmHour to that of a massive home — 5kWh! By increasing your baseline this one time, you'll have a safety net during that #OhmHour so even if you use a bit more energy, you'll still beat the forecast. At 5kWh, you'd need to work pretty hard to go over a baseline like that! Buy the Referral Madness card to double the points you get for referring people to OhmConnect. Once you buy the card, you'll get 2x the points for referring friends for the next two weeks. 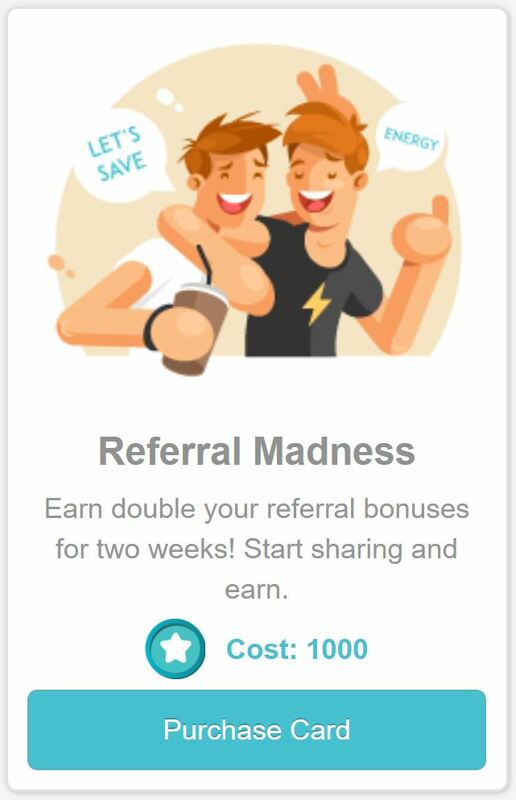 Normally, you get 2000 points for each person you refer that reaches Silver, but with the Referral Madness card activated, you'll get 4000 for each new referral. Remember: referrals must reach Silver to be eligible for you to receive points for them. We're always adding new cards, so check back for what's new! NOTE: You may only purchase 1 Referral Madness card every 3 months. All power-up card prices are subject to change without notice.